Attorney General Jeff Sessions tells a law enforcement conference in Alabama that "some of our government officials, media and Hollywood elites in this country have sent mixed messages, even harmful messages about drugs". Rough cut (no reporter narration). Criminal justice reform has long made for strange bedfellows. It's an issue that unites progressives and conservatives, that created a "bromance" between Sens. Cory Booker (D-N.J.) and Rand Paul (R-Ky.) and that found Sens. Chuck Schumer (D-N.Y.) and Mike Lee (R-Utah) cosponsoring the same bill. Now the issue is once again bringing together the far left and the far right over a slice of Congress's opioid legislation. The issue in question is a change that has been mostly under the radar as lawmakers move a package of dozens of bills to address the public-health crisis. In the House version of a package to address the opioid crisis, but not the Senate one, is a provision that gives the attorney general power to create a special category for synthetic drugs, like the highly toxic fentanyl, and set penalties for those who make or sell them, giving the nation's chief law enforcement new authority to enact harsh penalties. What critics hear is: War on Drugs redux. "They're dusting off the old drug war playbook," said Michael Collins of the Drug Policy Alliance. "This is only going to increase the prison population and repeat the mistakes of the 1980s." The issue is one of the sticking points as lawmakers rush to reconcile the opioids' package the Senate passed Monday with the one approved by the House in June with the goal of having a final bill to President Trump's desk before the November midterms. Left-leaning groups such as the American Civil Liberties Union and the Human Rights Watch have partnered with the right's FreedomWorks and American Conservative Union in opposition to the proposal, which they say expands ineffective drug policy. "Look, opioids are a very real problem and Congress is right to try to deal with it," Jason Pye, vice president of legislative affairs for FreedomWorks, told me. "But let’s face it, in the vast majority of instances people who deal drugs either they have an addiction problem or lack economic opportunity and that’s where Congress should be focused instead of doubling down on a 40-year failed approach to the issue." After President Nixon first declared a war on drugs in the 1970s, the prison population exploded with people serving long sentences for drug offenses. Yet research has shown the decades-long federal crackdown on drug distribution and possession did little to reduce drug use or illegal trafficking. So in recent years, there's been a push to find new drug policies that focus on prevention and rehabilitation rather than incarceration. "These kinds of penalties don’t deter people from selling," said John Carnevale, president and CEO of Carnevale Associates, which consults on drug policy issues. "I would encourage anybody moving in this direction to consult the research before putting a schedule together." Carnevale worked in the White House Office of National Drug Control Policy (ONDCP) for more than decade, serving under three administrations. He saw up close how tough drug laws did nothing to keep drugs off the street. The best way to deal with drug epidemics is through treatment programs, he told me, and to head them off through intervention programs before they become epidemics. The desire to create a new law-enforcement category for currently unregulated chemical compounds is a response to the growing use of fentanyl in drugs like heroin and cocaine. Often users don't know their drugs are laced with the incredibly potent and lethal narcotic. It's resulted in tens of thousands of overdose deaths. 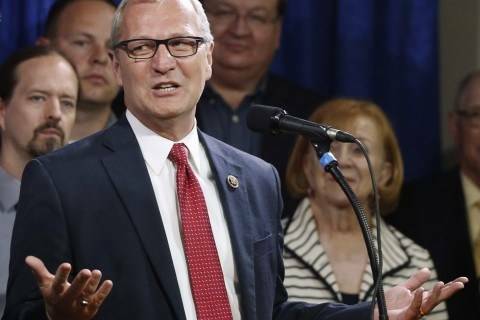 If passed as written into the House bill, the new law "would create a new schedule, Schedule A, for substances that are chemically similar to already-regulated drugs. The attorney general would be able to place new compounds in Schedule A for a period of up to five years. Critics say this amounts to giving the attorney general the power to unilaterally write federal drug policy," our Post colleague Christopher Ingraham explained in a June 2017 article when the idea was first considered. "We don’t want any attorney general to have this kind of power," said Jasmine Tyler, advocacy director for the Human Rights Watch US Program. "But I think specifically when we have an attorney general who is so out of touch with this century’s expert thinking on these issues, there should be red flags for that." Complicating the issue for advocates is Attorney General Jeff Sessions, who has been openly hostile to criminal justice reform efforts, upending Obama administration changes to minimize mass incarceration of low-level drug offenders. His tough-on-crime approach to drug policy has put him in direct opposition to Jared Kushner, Trump's son-in-law and a White House adviser who has been focusing on criminal justice reform. But in August Trump reportedly decided not to back any such legislation until after the midterms. So what will lawmakers do when they try to hammer out the differences in the opioids' package? Sen. Chuck Grassley (R-Iowa), chairman of the Judiciary Committee, sponsored a similar bill to strengthen punishments for currently unregulated drugs, but ultimately backed off bringing it to a vote in his committee or adding it to the larger opioids' package after advocates pointed out it conflicted with his efforts to pass criminal justice reform. But Rep. Bob Goodlatte (R-Va.), chairman of the House Judiciary Committee, pushed a bill through his panel by voice vote, which was then added to the lower chamber's opioids' package. Neither Grassley's nor Goodlatte's committee spokespeople returned requests for comment. The Drug Policy Alliance is bringing together the coalition of left and right groups to send a joint letter to lawmakers urging them not to include the provision in the final opioids' package. But some are worried the issue could get lost in the mix of others being debated in backroom negotiating. "This is a disconcerting bill because we’ve seen this before, we’ve done a great deal of work to rectify this issue," Tyler said. "To take that same process and apply it to synthetic drugs is problematic. I feel confident we’ve been effective in the Senate where there’s been a robust conversation about best practices, but I do not feel comfortable in general when bills are being conferenced behind closed doors." AHH: The Senate passed a short-term spending bill to keep the government running through Dec. 7, hoping to avoid the political fallout from a government shutdown and a fight over Trump’s border wall until after the midterm elections in November, our Post colleague Erica Werner reports. The funding bill, which was approved on a 93-to-7 vote, provides funding for the Department of Health and Human Services, as well as for the Labor and Education departments and Pentagon for 2019. “All told, the Pentagon and Labor-HHS spending bills account for more than 60 percent of all discretionary spending, which is the portion of the $4 trillion federal budget that Congress doles out annually,” Erica reports. “That does not include what are called ‘mandatory’ spending programs, such as Social Security and Medicare, that operate without annual appropriations from Congress." OOF: The Food and Drug Administration wants to slow down the teen vaping boom. And its latest efforts will bring an education campaign to high-school bathrooms and social-media feeds, CNN’s Sandee LaMotte reports. "We're in possession of data that shows a disturbingly sharp rise in the number of teens using e-cigarettes in just the last year," FDA Commissioner Dr. Scott Gottlieb warned on Tuesday. "In short, there's no good news." OUCH: HHS is deploying federal disaster medical responders to North Carolina following Hurricane Florence. As of yesterday, the death toll as result of the storm rose to 33 across three states, per our Post colleagues Rachel Siegel , Kristine Phillips and Mark Berman. "Florence, the storm that brought the misery, has gone from a hurricane to a tropical depression to a meandering system that dropped rain over the Mid-Atlantic and southern New England on Tuesday," they write. "It left behind deaths in at least three states and carved an arc of destruction that had not fully become clear, though one preliminary analysis said could cost up to $20 billion in property losses." — Christine Blasey Ford, the woman who has accused Supreme Court nominee Brett M. Kavanaugh of sexually assaulting her when they were both teenagers, is calling on the FBI to investigate her allegations before she testifies before the Senate Judiciary Committee. 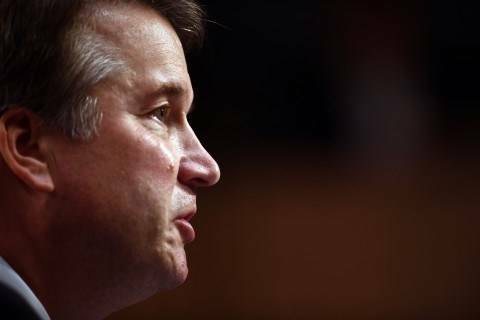 “A full investigation by law enforcement officials will ensure that the crucial facts and witnesses in this matter are assessed in a non-partisan manner, and that the committee is fully informed before conducting any hearing or making any decisions,” Ford's lawyers wrote in a letter to committee members last night. 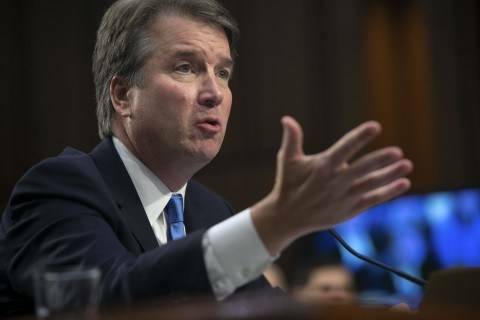 "The committee had invited Kavanaugh and Ford to testify at a public hearing Monday, but Ford’s response raises questions about whether the GOP will proceed with the session and ultimately the vote on Kavanaugh," our Post colleagues Seung Min Kim, Robert Costa and John Wagner report. "The two-page letter does not explicitly say she will not attend if there is no FBI probe." 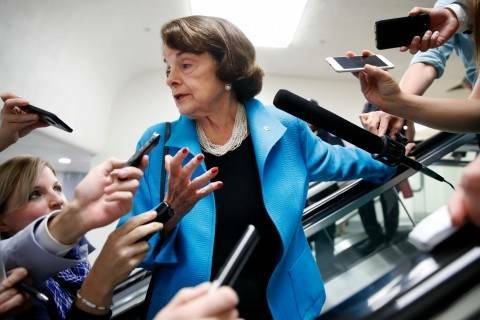 "Sen. Dianne Feinstein (Calif.), the top Democrat on the Judiciary Committee, urged Republicans to delay Monday’s hearing after Ford’s lawyers sent their response," our colleagues report. "The high-stakes hearing was set without consultation with Ford, although Grassley’s office has said his staff offered Ford multiple dates for a potential hearing. " Earlier in the day, Sen. John Cornyn (Tex. ), the No. 2 Republican in the Senate questioned Ford’s credibility, and Republican leaders had suggested limiting witnesses at next week's hearing to just the Supreme Court nominee and his accuser. 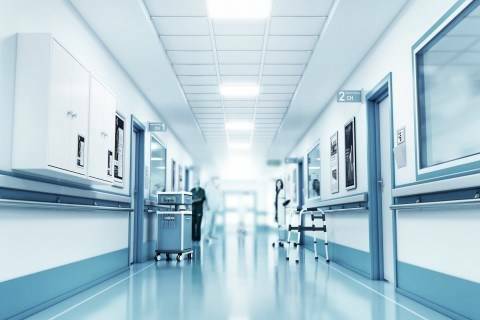 The improvement allowed VA to remove five hospitals from its list of high-risk facilities, Ben writes, even while 10 other high-risk facilities still rank among the lowest and will continue to receive resources to push for improvements. — The Trump administration revealed a new strategy to prepare for biological threats, specifically for both deliberate attacks and natural infectious disease outbreaks, the Associated Press’s Robert Burns reports. HHS will take the lead in coordinating the actions and assessing the plan’s success. HHS Secretary Alex Azar told reporters such threats are “very real” and “growing” and that the plan includes first addressing naturally occurring threats like the Ebola virus, Robert reports. “The goal of the strategy, which was required by Congress, is to more effectively prevent, prepare for and respond to biological threats,” he adds. — More than half of Maryland residents support a single-payer health-care plan, according to a new poll, a positive sign for Democratic gubernatorial nominee Ben Jealous, who has pushed such a system. The Goucher College survey found 54 percent of Maryland residents had a favorable view of "Medicare for all." 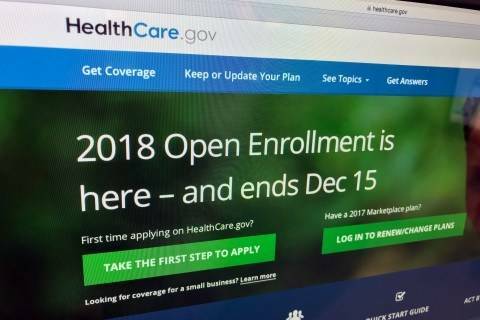 But it also found 47 percent of those surveyed said they would rather improve Obamacare over adopting a universal health-care system, which had 29 percent response, our Post colleagues Rachel Chason and Scott Clement report. Nonetheless, incumbent Republican Gov. Larry Hogan is still a favorite to win in November. “With seven weeks to go until the election, the poll illustrated the uphill battle Jealous faces in his effort to oust [Hogan], who is substantially better funded and has benefited from attack ads paid for by the Republican Governors Association,” they write. Republicans are scrambling to defend their efforts to replace Obamacare. We examine a claim that people with preexisting conditions would not face higher prices. The threat to protections for Americans with pre-existing conditions has injected new energy and cash into many races. Hidden provisions in contracts between health-care providers and insurers allow hospitals to hide prices from consumers, add fees and discourage use of less-expensive rivals. Supporters of the Supreme Court nominee have called for protests at her house and questioned her veracity and motives. Attorney Douglas Wigdor, who represents sexual assault victims in cases against high profile men, discusses how he would prep Christine Blasey Ford for Monday's hearing, which will be one of the hardest parts of her ordeal. The 85-year-old California lawmaker, elected after Anita Hill and Clarence Thomas, is in the middle of an explosive cultural, political and social firestorm. 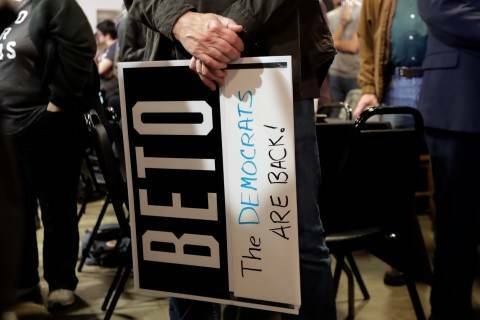 Rep. Beto O'Rourke (D-Texas) on Monday called for the state of Texas to expand Medicaid. From the Fact Checker: Did the House GOP plan protect people with preexisting conditions or not?